Should Universal Health Care Cover Faith Healing? 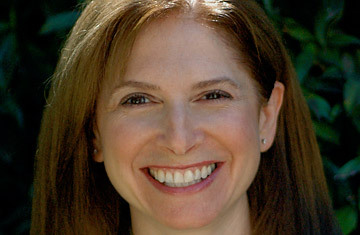 If there's a fast track for members of the clergy, Rabbi Naomi Levy was on it. She was in the first class of women admitted to study to become rabbis at the Jewish Theological Seminary of America and the first female Conservative rabbi to lead a congregation on the West Coast. By July 2001, she was a published author, lecturing around the U.S., teaching rabbinical students and counseling. She was also happily married with an 8-year-old son, Adi, and a 6-year-old daughter, Noa. Then came the phone call that overturned everything. During a festive Sabbath dinner, Noa's doctor called to say that Levy's daughter had a rare, fatal degenerative disorder called ataxia-telangiectasia (A-T). What happened next is the subject of Levy's moving new book, Hope Will Find You: My Search for the Wisdom to Stop Waiting and Start Living. TIME spoke to the rabbi about her daughter's condition, how it challenged Levy's faith and how she found new sources of strength. I imagine that some people think that members of the clergy have no problems themselves. Yes, I think there's an assumption that all is well. I think that part of it is that we see our parents as strong or as perfect or that their role is to help us. It's very rare that a child will say to a parent, "Is everything O.K.?" because we fall into a comfort zone assuming that everything is O.K. with our parent. So I think part of it is that kind of projection. How did you first find out that your daughter Noa had health problems? She didn't walk until she was 2, and even then she never really got out of the phase of toddling. At 3, 4, 5, she was still sort of walking like a toddler, falling down. So there were signs that there was something going on but I don't think we were prepared to see it as a significant problem. So what did you do after the diagnosis from Noa's doctor? I fell apart. Time stopped. I stopped preaching, I stopped teaching, I stopped writing. My sole focus was to find a way to fix Noa. The situation I was in dovetailed with my career as a spiritual counselor. The overwhelming majority of counseling cases that I do as a rabbi have consistently been around the issue of "my life will begin when ..." and people waiting, feeling that what they're doing now isn't really their life. That they're waiting for a certain piece to fall into place and then life will begin. It could be somebody 20 coming to see me, it could be somebody 65, somebody 40, it doesn't seem to really matter. The theme remains the same: "My life will begin when ... When I can quit this job, when I get this job, when I get married, when I get divorced, when I have a child, when this child moves out of this house already." And I was always counseling people around that issue and now I found myself in that issue. I found myself struggling with the same question: How can I live now in this situation, in this very not-ideal situation? How can I find meaning here? How can I find blessing here? By 12 or 13, kids [with A-T are] usually in a wheelchair. Very few kids even make it to 20. It's fatal. Nobody survives this disease. Did you have a crisis of faith during that period? It was really more almost a paralysis of faith. I very much wanted to pray, but I didn't know what to pray for. I didn't know what to say. Could I really blame God for giving Noa this disease? No, I don't actually believe that God gives people diseases. Should I pray to God to take her disease away? If God didn't give her the disease, could God really take it away? I wasn't really sure. I guess for me, the paralysis was I couldn't feel God. You were told that it would take seven years to know for sure whether Noa had A-T. What was happening to her health at this point? It was hard to say if she was getting better or not. She would have bouts of ataxia [that looked] like a drunken state ... bouts of imbalance that were really frightening. And of course when you've been told that your child has a degenerative disorder, you know, every little thing, every little cold, you're wondering in your mind: Is this the beginning? Is this the beginning of the end? In 2009, Noa had a Bat Mitzvah [a Jewish religious ceremony when a 13-year-old girl becomes an adult in the eyes of the community]. That must have been an extraordinary event for you. Oh, my gosh. Obviously we just had no idea if she would live to her Bat Mitzvah [or whether] she would be in a wheelchair at her Bat Mitzvah. [But] not only was she there, in strength and in balance, but alongside sort of the very grave health diagnosis she was given, she was also diagnosed with significant learning disabilities to the point where there were specialists who really doubted her ability to learn. And I was petrified to even begin teaching Noa for her Bat Mitzvah. But as I taught her, I learned so much from her. What did you learn from Noa? I asked Noa what her haftarah [section she was reading from the Prophets] meant to her and she told me, "Mom, I think it means if you don't like your life, if you try really hard, you can find hope." And then Noa corrected herself. She said, "No, Mom, hope will find you." I gasped when Noa said "hope will find you." I lost my breath. Because I had been trying for so long to hold onto hope or to grasp for hope, but my wise child was telling me I didn't have to try so hard or hold on so desperately. She was telling me to relax and let hope in, like a kind of grace. Noa was telling me hope was looking for me. That hope would track us all down. Noa is now 14 years old. How is she? She's doing beautifully. She's joining her school volleyball team. It doesn't mean that she doesn't have her difficulties, and it doesn't mean she doesn't have disabilities. She does. She has physical disabilities, she goes to a school for kids with learning disabilities. And she has optimism, and she has courage. So you must be at a good point in your life now. I feel very centered, I feel anchored, I feel whole, I feel blessed. And I feel that I have a much better understanding of God, or maybe with God. I feel very lucky that Noa did not have the disease that she was diagnosed with. That she does not have that disease, it's luck. Or perhaps it was bad luck when that doctor called. And again, it doesn't mean she doesn't have obstacles. But what she's learned and what she's learning is how to work with her obstacles, how to compensate for her obstacles, and how to see the beauty in what is.